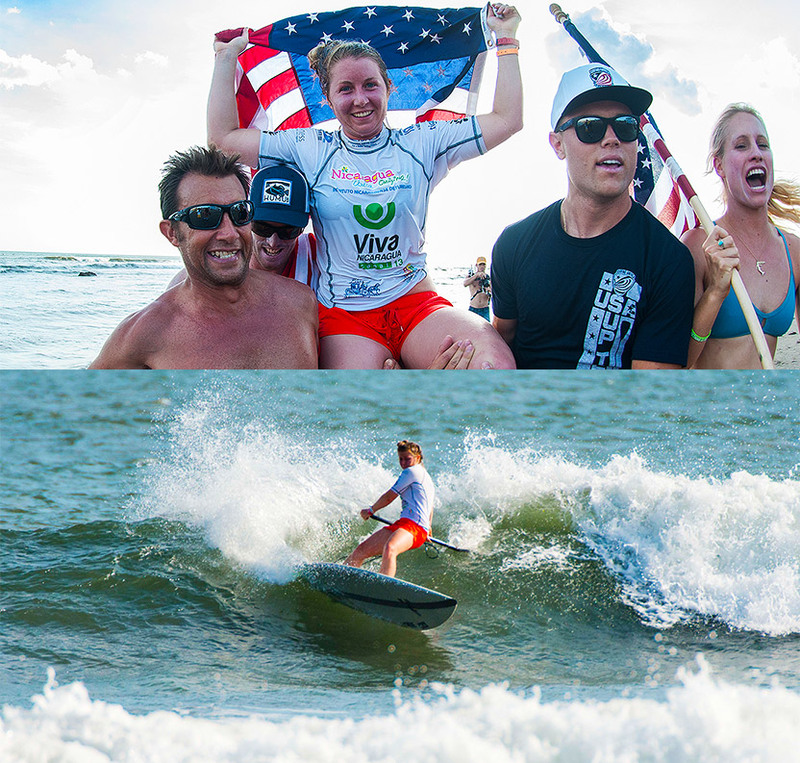 The SUP Surfing in the 2014 ISA World StandUp Paddle and Paddleboard Championship (WSUPPC) concluded today and the Gold Medalists were crowned. Tahiti’s Poenaiki Raioha and USA’s Emmy Merrill are the 2014 ISA SUP Surfing World Champions. The young World Champions, Raioha, who is 17 years-old and the 20 year old, Merrill, who demonstrated the arrival of a new generation in the sport. Merrill made history in the ISA, as the first women in SUP Surfing to win two Gold Medals since the start of the ISA WSUPPC in 2012. In one of the most exciting SUP Surfing days in history, the world’s best took advantage of La Boquita’s great waves. The surf condition improved with the best and biggest waves on the Final Day. Contest organizers decided to take a break during the mid-day low tide to allow for optimal conditions during the finals, and the decision paid off, as the action was non-stop in the Grand Final with excellent rides and scores. “What an incredible day!,” said an excited ISA President Fernando Aguerre. “The level of the final top guys and girls was very intense and very good. We waited for the better conditions by taking a break in the middle of the day and the waves improved and the wind calmed down for the finals. The first Grand Final in the water was the Women’s SUP Surfing, where USA’s Emmy Merrill reclaimed her Gold Medal and the World Championship after posting a total heat score of 13.50 in the Final, the second highest score of the event in the Women’s division. Merrill took advantage of the improved afternoon conditions and earned a 5.83 and a 7.67 to become the two-time ISA World Champion. The Silver Medal went to France’s Caroline Angibaud (9.27), Bronze to Australia’s Shakira Westdorp (9.23), and Copper to Spain’s Iballa Ruano (5.28). Next up was the Men’s SUP Surfing Final, the most entertaining heats of the entire contest. Continuing his stellar performances from the first two days of competition, Tahiti’s Poenaiki Raioha is the new Men’s World SUP Surfing Champion. Raioha earned two impressive scores of 8.93 and 8.57 for a total heat score of 17.50, the highest of the entire event. The 17 year-old Tahitian kept great composure at such a young age and handled the pressure of his fellow competitors well. The Tahitian was patient and waited for the best waves of the heat and his strategy resulted in a Gold Medal. The Silver Medal went to Australia’s Jackson Close (14.17), Bronze to France’s Antoine Delpero (14.17), and Copper to USA’s Sean Poynter (11.07). 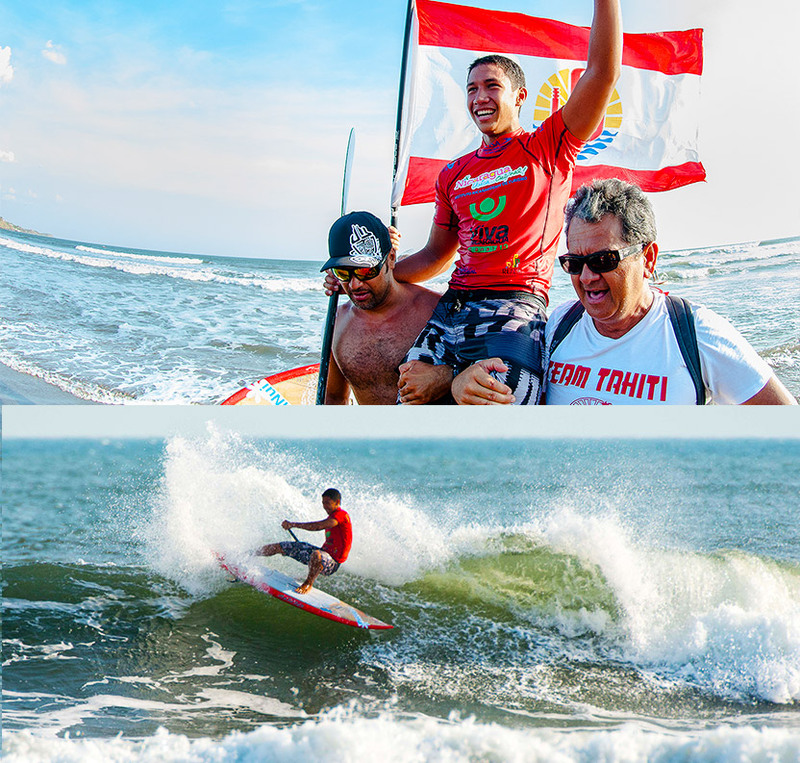 For the full results click here- http://isawsuppc.com/results/The 2014 ISA WSUPCC will move back to Granada for the SUP and Paddleboard races on Lake Nicaragua. Wednesday will be a transition day and no races will take place. All the action begins with the Technical and Relay Races on Thursday followed by the Women’s Long distance Race on Friday, the Men’s Long Distance Race on Saturday, and the Technical and Relay Race Finals, and Closing Ceremony on Sunday.